Ensure continuous improvement of the service provided, always satisfying both the requirements requested by customers, as well as regulatory and / or legal requirements that are applicable to each product and any of the management systems implemented. That our clients perceive and appreciate our continuous improvement, through ongoing personalized contact. To Achieve a high degree of food safety of our products. To offer products that satisfy the highest demands of our customers. To guarantee our customers quality and service, maintaining a good balance between development and nature (Environment). Ensure the preservation of Confidentiality, Availability and Integrity of the information managed in the company. 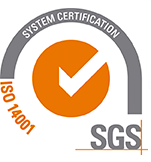 Environmental Management System (UNE EN ISO 14001 standard). Information Security Management System based on the UNE ISO/IEC 27001 standard. Norms of Correct Manufacture of medicines. Good Manufacturing Practices for cosmetic products (UNE-EN ISO 22716). Correct Practices of Distribution of Medicines for human use. Standards of Correct Manufacture of medicines. Good Manufacturing Practices for Cosmetic products. Korott is certified by the IFS Food standard in its food supplement manufacturing plants, achieving the "Higher level". 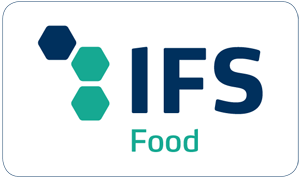 IFS Food is a standard that focuses on the safety and food quality of processed products. This certificate is the result of all the work carried out to provide quality products to its consumers through a production system and strict food safety. Continuous contact with the interested parties in order to know their needs and to be able to adapt to them. COMPLY with the Quality Policy and LEAD the development and implementation of the Management Systems established in accordance with the aforementioned regulations and always seek the path towards continuous improvement of their effectiveness, setting ambitious objectives in this direction. To assign the necessary technical and human resources to ensure the fulfilment of this quality policy. To produce high quality products, starting from raw materials that comply with the defined characteristics and parameters, as well as with the specifications defined by the corresponding legislations. Offer the consumer quality products, ensuring their health and food safety. Offer medicines, cosmetics, biocides and health products that comply with the premises of quality, safety and efficiency established in current legislation. To increase the level of training of our personnel which will result in greater personal satisfaction, an improvement in the working environment and an improvement in the provision of our services and food safety. Maintain an environmental policy, as a reference framework, in the establishment of environmental objectives and commitment to improving environmental performance. Review this policy to adapt it to new requirements and make it available to any company or institution or interested party that requests it. To develop more sustainable products and services based on high quality and pollution prevention in order to impact as little as possible on climate change and protect the biodiversity of ecosystems, managing vital resources (water and energy) in a demanding and efficient manner, assigning the necessary and viable means, and developing our activities to minimise the generation of waste, spills and emissions. Maintain strict control of both the most significant environmental aspects in order to minimise any type of impact. Promote the adoption of Occupational Health and Safety policies at work and adopt the preventive measures established in current legislation, providing a work environment that respects the health and safety of the employees, suppliers and collaborating companies with which it operates. Ensure the availability of data and information generated by our customers and ourselves. To increase in general the security of the information that we deal with. To assure the confidentiality of the information, which, by its nature or importance, requires special protection. To make the whole organization aware of the importance of information security. To ensure business continuity in the face of any incidence in terms of Information Security. Compliance with relevant legislation on security and confidentiality of information: Organic Law on Data Protection (LOPD), Law on the Security of Information Services and Electronic Commerce (LSSI), etc. Ensure food protection against possible intentional acts of contamination or alteration. The Management of KOROTT, S.L. assumes the commitment to maintain and extend to the organization and interested parties the content of the same.